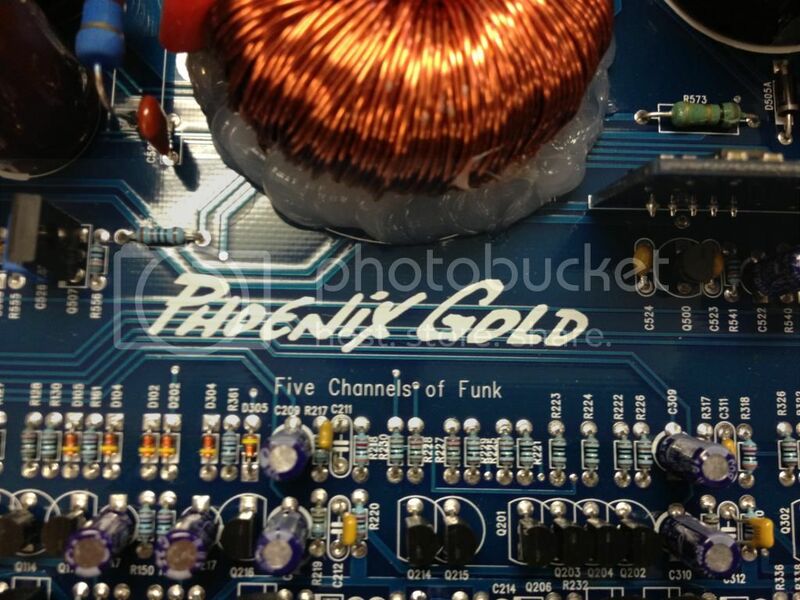 Phoenix Gold Elite.5 5 Channel is shipping this week ! 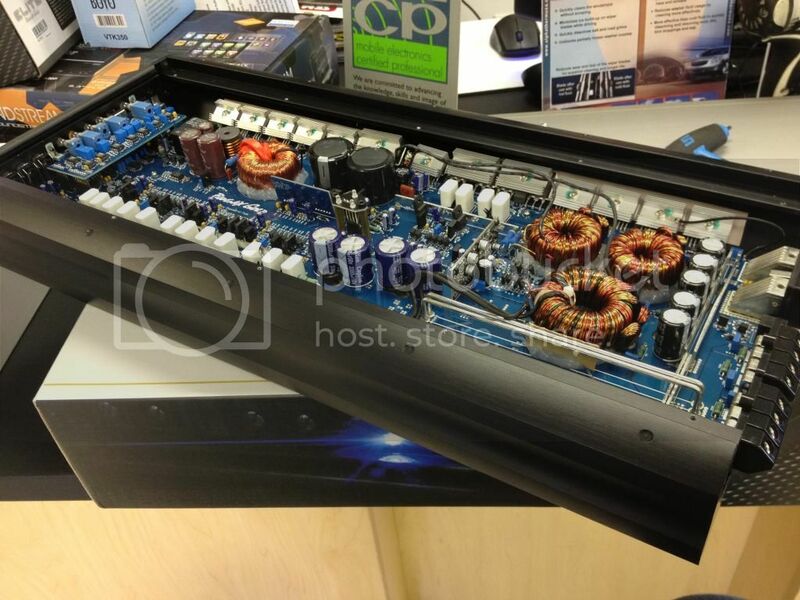 Really might be the new King of the 5 channel amp market. Maybe ! 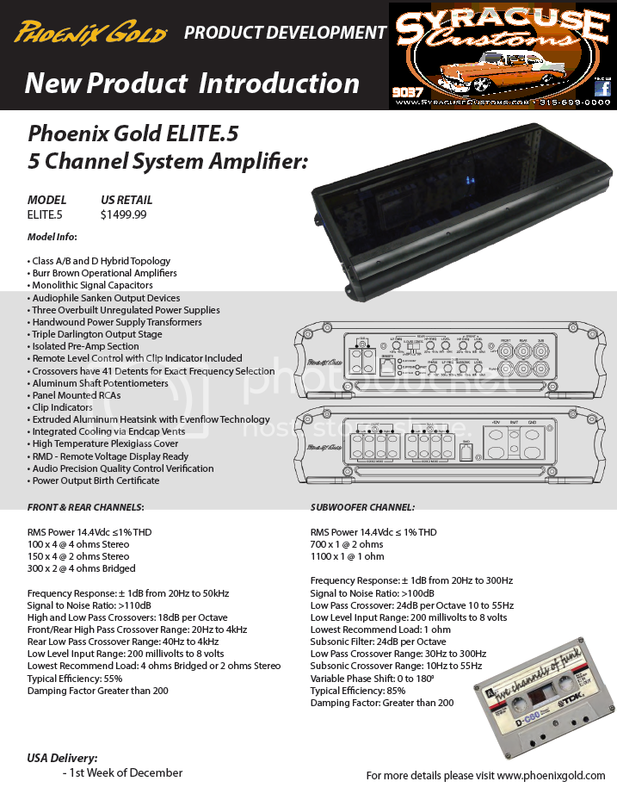 Re: Phoenix Gold Elite.5 5 Channel is shipping this week ! About damm time! The ZPA series were one the best sounding amps I have ever owned. I'll be getting me one of these. Anybody wants to buy the audisons in my sig? 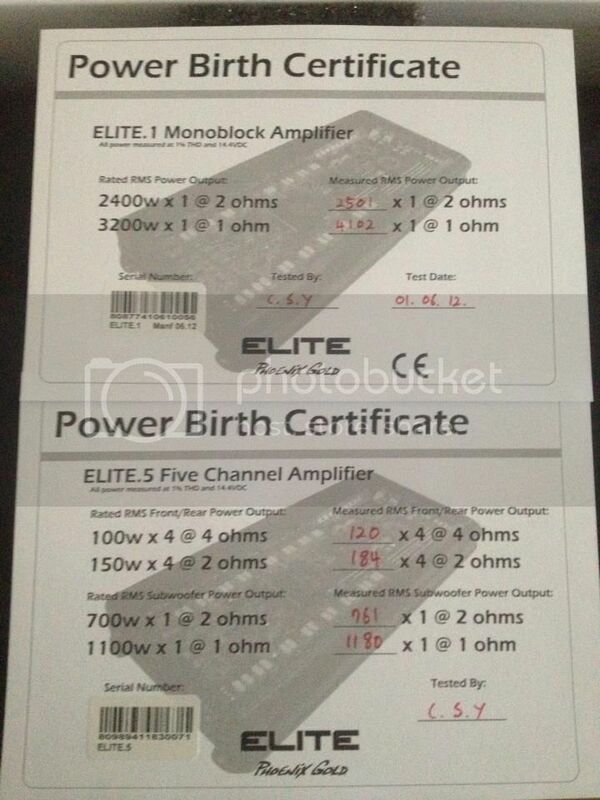 Last edited by evo9; 12-15-2012 at 03:53 AM..
How soon do you expect them in your shop? Cool. So price will be like that of the JL HD or the Audison LRx? Let us know if the numbers if they have birthsheets. Cool! I'll be in touch soon. You've got to post a few picks of one and give us your initial reaction about it. 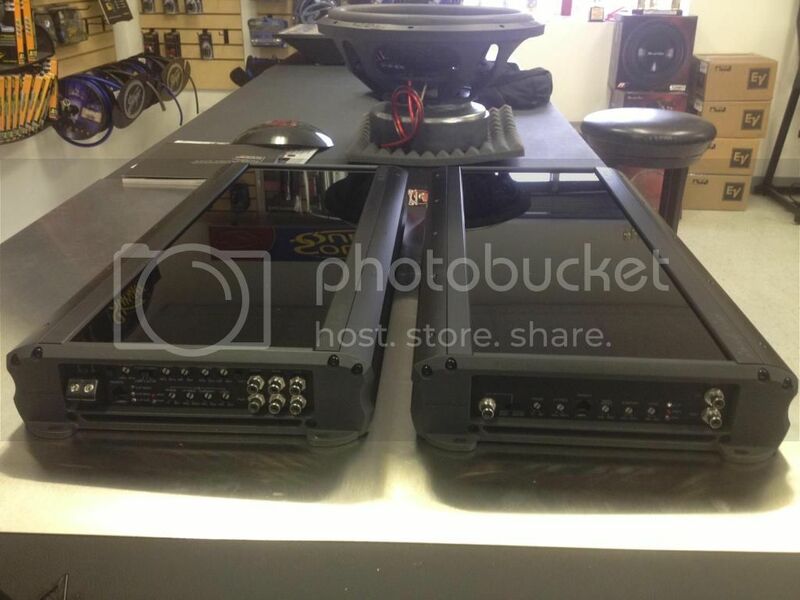 I have an Audison LRx5.1k and would be interested in how they may, or may not, compare. ^^ Awesome! Hoping to hear your feedback on its sonic performance. This looks to be a great all in one option. Wow. Both doing big numbers. For the people that want big sub bass or head room in a 5-channel. Last edited by schmiddr2; 12-18-2012 at 07:47 PM.. The ad above doesn't say, but what's the foot print on the 5ch? My Audison LRx5.1k is retardedly small for it's rated output. Jeez thats sweet. Any know the street price on these? Dimensions are identical across the board. Elite.5 & Elite.4 installed over the weekend!!! They sound kinda Tru Technologyish. Last edited by evo9; 01-29-2013 at 10:05 PM..